When I started posting here a decade ago, the site was called Today in Iraq. Our long-term vision was of a stable, secular, multi-ethnic and multi-confessional Iraqi state. That was what most Iraqis wanted as well, but the political organization and leadership to make it happen never emerged. Political parties organized on sectarian lines, and the horrific civil war ensued. 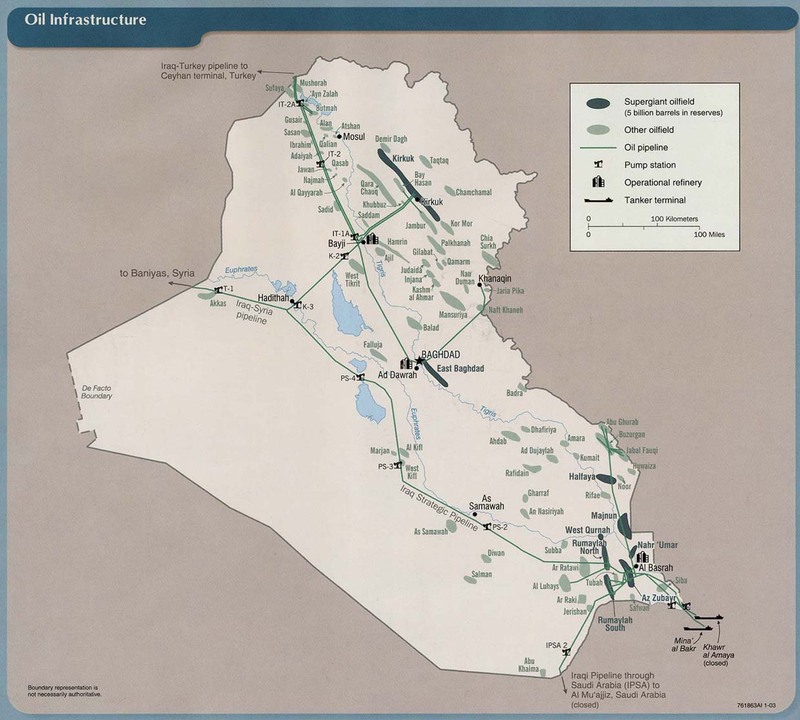 The U.S. succeeded in putting a lid on the cauldron temporarily, by equipping and financing the Shawa movement among Sunni Arabs and keeping a short rein on the Shiite-dominated Iraqi army. But the Kurds always really wanted independence and the Shiite political leadership had no intention of sharing power in a secular state. I remember writing here, at one point, "Won't anybody stand up for Iraq?" But nobody did. 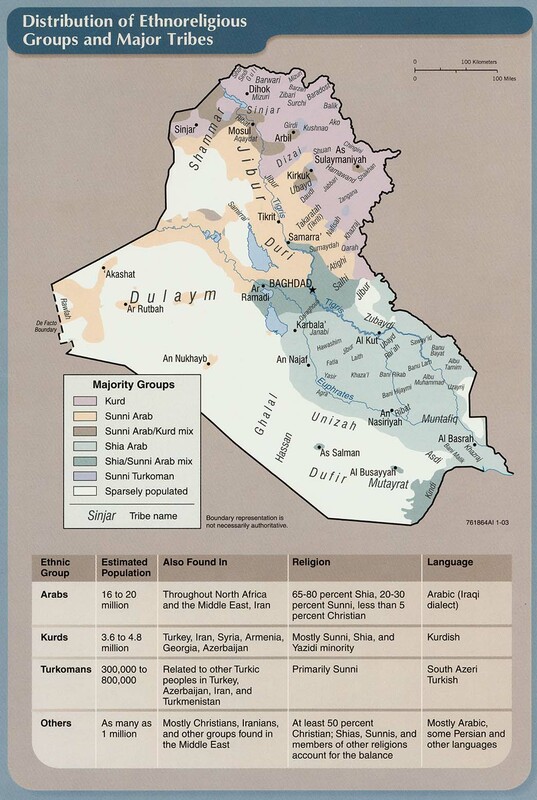 Iraq today no longer exists. In 2008, 80 percent of those polled said they were “Iraqi above all.” Today that number is 40 percent. The Kurds have taken every opportunity to further enhance their already considerable autonomy. I recently asked a Kurdish politician how many Kurds would support independence for their provinces. He replied, “Somewhere between 99 percent and 100 percent.” . . .Washington can provide aid, training, arms, air power—even troops. But it cannot hold together a nation that is falling apart. For all Iraqis who hoped for a different outcome, including our friend Riverbend who I hope is safe and well somewhere, I am truly sorry. On Memorial Day, I note that Americans have nearly forgotten that we still have troops deployed in Afghanistan and Iraq, and in support of operations there at sea and in bases in other countries. Although they currently have limited exposure to combat situations, deployment is still stressful to military personnel and their families. Non-combat related deaths and injuries usually get only local attention. On May 22, DoD announced the death of Petty Officer 3rd Class Ryan D. Burris, 24, of Lisle, Illinois, died May 21, in Abu Dhabi, UAE, of a non-combat related incident at Zayed Military City. As of yet, no information about the incident has been made public. Via friend Chet, here is information about PO Burris from the local television station. Meanwhile, in Afghanistan, as U.S. troops mark Memorial Day, the fighting intensifies. A suicide truck bomb attack on the Provincial Council in Kalat, Zabul kills 5 people and injures 62. Three of the injured are Council members. Another account puts the number of injured at 73. Taliban attack several police checkpoints in Helmand, killing at least 10 officers, with other accounts putting the number at 13. Update: Taliban are besieging a police compound in Helmand with 19 police and 7 soldiers dead so far. "Napas Khan, the police chief in the Naw Zad district, told The Associated Press by telephone that the insurgents had advanced to within 20 meters (65 feet) of the compound after seizing police vehicles and weapons and blocking all roads out of Naw Zad." Note that this is not asymmetrical warfare. The Taliban are winning a pitched battle against fortified positions. Xinhua rounds up violence yesterday, resulting in the deaths of 19 people. In case you thought the end was in sight for U.S. involvement, Gen. Campbell says NATO hopes to establish a base in Afghanistan on a more or less permanent basis, meaning U.S. troops will remain in the country long after Barack Obama has left office. 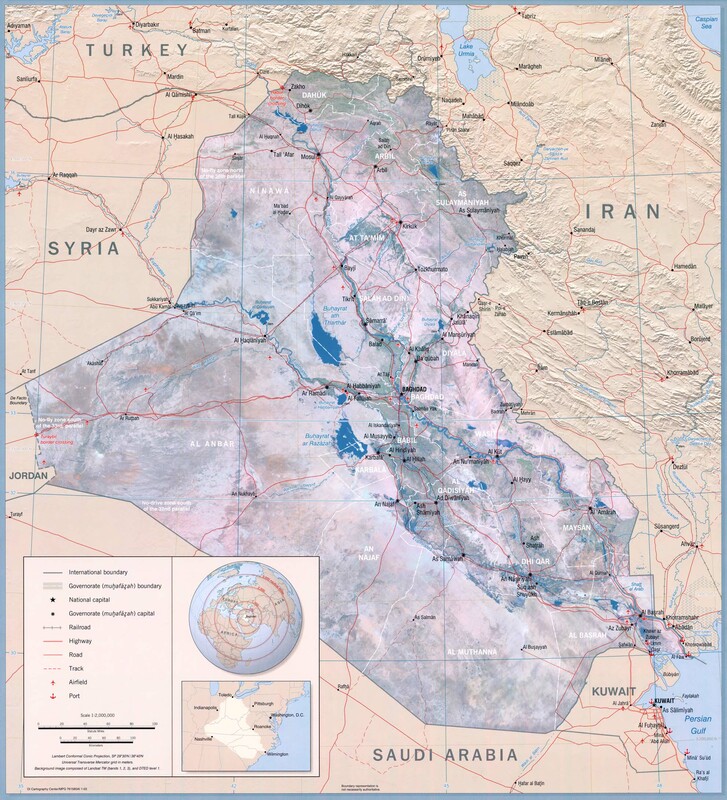 In Iraq, the political situation continues to deteriorate along with the military situation. U.S. Secretary of Defense Ashton Carter says that Iraqi forces lacked any will to fight in Ramadi, where they fled in the face of a numerically far inferior IS force and abandoned U.S.-supplied equipment including several tanks. This did not sit well with Iraqi officials. But as the linked article makes clear, the U.S. strategy in Iraq depends on the government regaining the trust and loyalty of Sunni Arabs and incorporating Sunni fighters into its military. This has not happened. 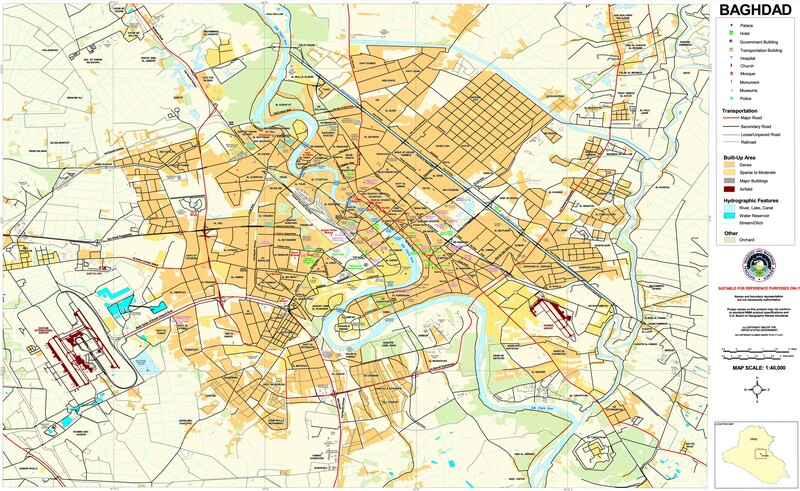 In fact, by one account, the IS force that captured Ramadi numbered 150, before which 6,000 Iraqi troops fled. British Major General Tim Cross agrees with the SecDef. "It’s interesting that the secretary used that [will to fight] expression because we use that expression in the British army and our argument is that it’s about a moral cohesion in your army. It’s about the motivation to achieve what it is you’re setting out to achieve and it’s about effective leadership … and it’s this will to fight that I think is fundamentally at the heart of the issue with the Iraqi military. There’s no cohesion, there’s no strong leadership. They’re really struggling and I don’t think there’s any doubt about that." Of course, the Iranians are blaming the U.S.
Predictably, John McCain is calling for the U.S. to expand its combat role in Iraq, as similar calls for an expanded combat role are heard in Australia and the U.K. We shall see where this goes. From Scott Ritter. His main point is to put much of the blame for violent Islamic radicalism on the Saudi royal family, but he doesn't spare the U.S. either. I recommend you read the whole thing (I don't otherwise recommend the Puffington Host), but here are a couple of important paragraphs. 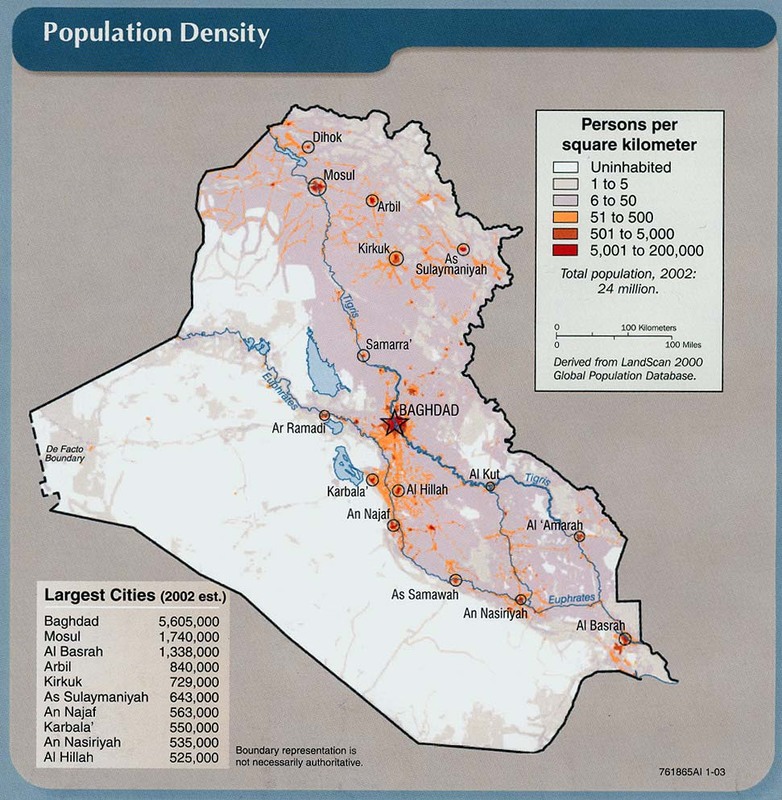 Iraq is but one of the more visible manifestations of this post-Cold War reality. American force of arms could remove a dictator, but was -- and is -- incapable of transforming a society against the will of the indigenous population. When America toppled Saddam, it unleashed regional forces -- Iranian, Arab, Kurd, Sunni, and Shia -- that were not understood then, and are not understood now. America continues to mistake tactical victories - the fall of Baghdad, the capture of Fallujah, the death of Zarqawi, the "surge" -- for strategic vision. Not one of America's tactical successes in Iraq has withstood the test of time, and yet America continues to look to them as a template for future action that, in doing so, cements failure as the only possible outcome. The ultimate irony of the blame game is that it locks those who purport to seek a solution to the problem of ISIS into evaluating and assessing the symptoms associated with ISIS rather than the disease that spawned ISIS. Since America's involvement in Iraq is itself such a symptom, any search for a solution that predicates success on continued American involvement is itself doomed to fail. Failure to accurately identify the root cause of a problem leads to solutions that solve nothing. It is high time American policy makers understood that, when it comes to the issues of Iraq, Syria, and ISIS, America is the problem, not the solution. As a country we need to stop buying into a Saudi-backed narrative that lays the blame for the ongoing unrest in Syria, Iraq, Yemen and elsewhere at the feet of Iran, and instead recognize that those responsible for the ongoing regional conflagration reside in Riyadh. If we stop trying to unilaterally solve the myriad of problems that rage in the Middle East, then perhaps the Saudi government will stop instigating them. If not, then they alone will reap the consequences. The days of Saudi monopoly over the global oil economy are long past. A resurgent American domestic oil production capacity, combined with the looming possibility of Iranian oil reentering the global economy in a meaningful way, liberates American decision makers from the trap of Saudi-driven policy. With or without the fall of Ramadi, ISIS is not America's problem to solve. Sometimes the only way to win is to walk away. Not going to happen I fear. I'm sensing Obama would like to, but he knows it's politically impossible. A few developments of note since I last posted. In other words, nothing has changed. Abadi is no different from his predecessor -- he will not arm Sunni Arabs or incorporate them into the national army. He is not the Prime Minister of Iraq, but of Shiite Iraq. As long as that continues, there will be no Iraq and IS will continue to win victories. Taliban kidnap 27 people in Paktia. U.S. drone strike kills 4 militants in Nangarhar. Ministries offer the usual implausible body count for the past 24 hours, 138 insurgents and 16 government soldiers. Believe what you will. Still, that's a higher government toll than they generally admit to. Air strike kills 5 militants in Nangarhar. Presumably U.S.
Chief prosecutor for Paktia is shot dead in Kabul. A U.S. air strike in Aleppo province, Syria on Friday killed 52 civilians. According to the British-based Observatory for Human Rights, this brings the total of civilians killed in U.S. operations in Syria to at least 118. The Reuters report goes on to say "The U.S.-led air strikes have had little impact on the hardline Islamic State group, slowing its advances but failing to weaken it in areas it controls." 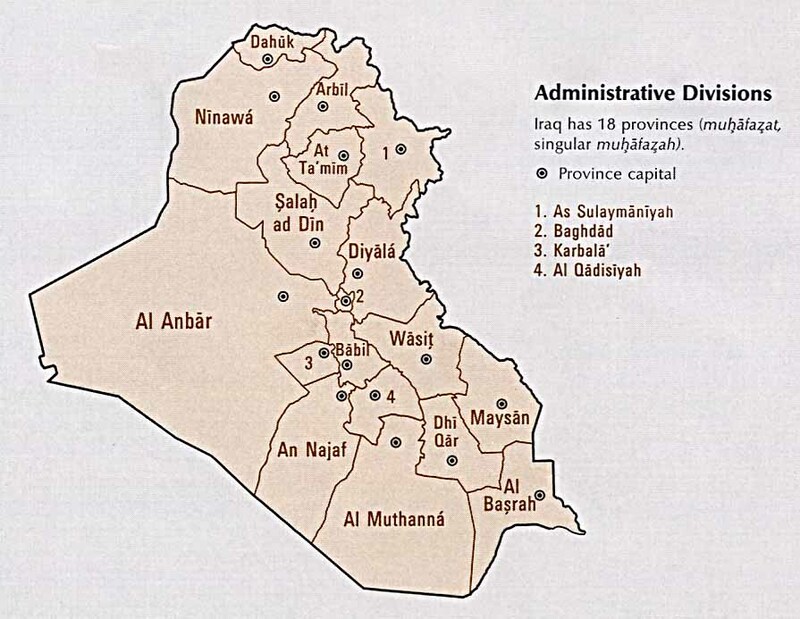 Tikrit (in Salah-u-Din province) remains a ghost town. Residents fear returning as militias remain in control. Iraqi journalists face imprisonment and murder. In Afghanistan, Taliban attacks in Badakhshan kill 16 police. DPA, apparently referring to the same incident, says the dead were soldiers and that there were 18 of them. The accounts are very different and I can't reconcile them. Update: This appears to be the correct account of the Badakhshan incident. Taliban overran 10 police checkpoints in Warduj district. Seventeen police are known dead and 26 are missing. 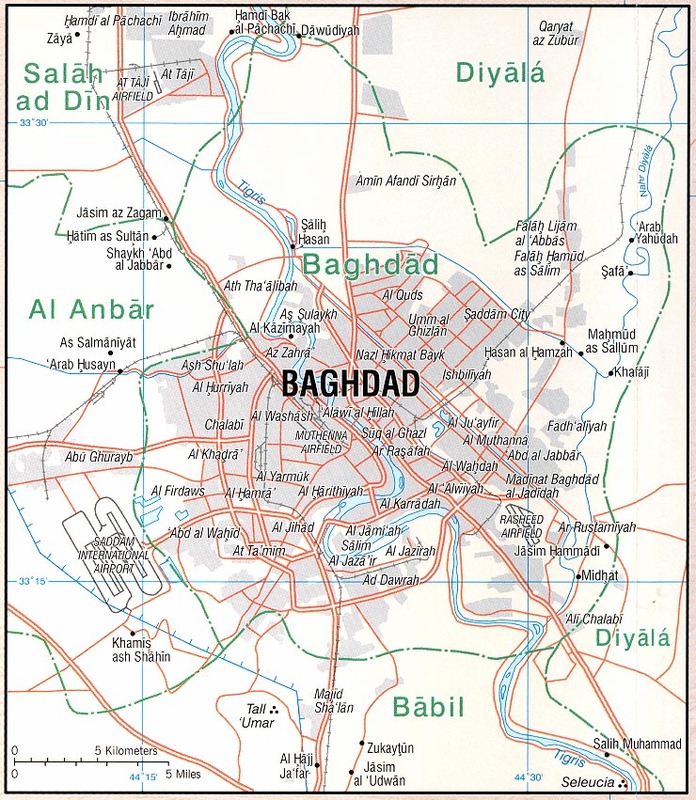 Starting with Iraq, it's flying well under the radar here in the U.S., but believe me, in Iraq, people have noticed that the U.S. House Armed Services Committee wants to break up the country. You might think this would be a matter of sufficient interest to people in the U.S. that the corporate media would bother to report on it, but for the most part, they haven't. The committee's markup of the Defense Authorization Act originally called on the U.S. to recognize Kurdistan as an independent country. That's gone, but the bill as sent to the House floor on a vote of 60-2 does call for U.S. arms to go directly to Peshmerga and Sunni Arab tribal forces, not by way of Baghdad. The Iraqi Parliament voted to reject any direct arming of Kurdish and non-governmental Sunni Arab forces, but that was the Shiite majority and as the linked article notes, the Kurds want those weapons. I don't link to Fars for hard news because it's not reliable, but in this case, it's the propaganda I'm interested in. An Iranian official condemns the vote in congress as part of a western plan to break up Iraq. "A specific plot is at work in the region to disintegrate Iraq, Syria and Yemen and the westerners are attempting to disintegrate Iraq into three smaller countries, Syria to two states and Yemen to two a Northern and a Southern state," [Secretary of the Expediency Council Moshen] Rezayee said in a press conference in Tehran on Sunday. Actually this is not paranoid. Many U.S. political leaders, including Joe Biden, have called for the breakup of Iraq over many years now. Don't get me wrong -- it may eventually happen. But the U.S. intentionally making it happen, and giving weapons to the remaining pieces, is another matter. Back in Afghanistan, the Taliban offensive in Kunduz has resulted in thousands of internally displaced persons. The Afghan security forces -- and their U.S. advisers, special forces, and drone buddies -- failed to detect the massing of Taliban forces ahead of the attack. Afghanistan still does not have a defense minister, 7 months after the election. Talks between the government and Taliban have begun in Qatar. The sides are not calling these "peace talks," but they attendees are people who would likely participate in peace talks. The meetings are hosted by the Pugwash Conference, which for those who don't know is an association of scientists who originally met to work for nuclear disarmament and which continues to be an informal conduit for communication between hostile powers. A mass trial in the lynching of Farkhunda is underway. The trial has been postponed for one day to investigate "the nationality of an Arab-speaking man who was arrested soon after the murder on suspicion of having jammed police radios during the incident." Nineteen of the defendants are police officers.